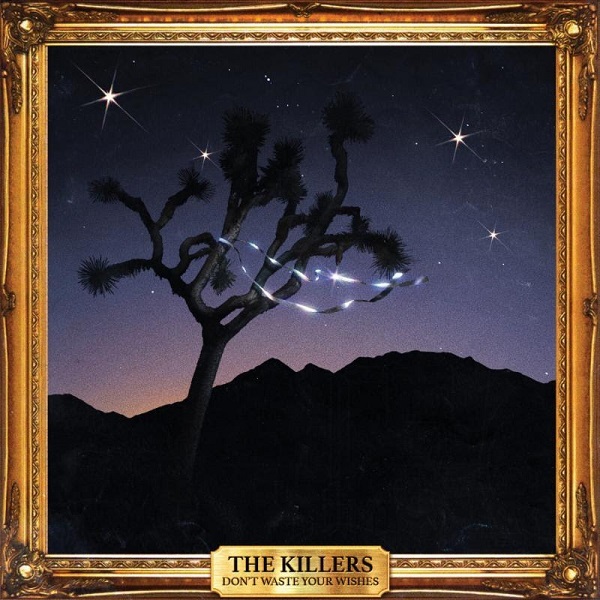 The Killers have released a charitable Christmas album titled Don’t Waste Your Wishes, via Island Records. Every year since 2006, the Las Vegas rock band has released a Christmas single for Bono’s (RED) program, with all proceeds going to The Global Fund’s support programs to combat AIDS. Don’t Waste Your Wishes compiles all of those singles, in addition to one new track. The new recording is a cover of “I’ll Be Home for Christmas,” in which lead singer Brandon Flowers covers the Bing Crosby standard with help from his 4th grade teacher, Ned Humphrey Hansen. Other guests that appear on the compilation include Elton John (“Joseph, Better You Than Me”), Dawes (“Christmas In L.A.”) and late night talk show host Jimmy Kimmel (“Joel The Lump Of Coal”). The band, Island Records and iTunes will donate all proceeds of Don’t Waste Your Wishes in the U.S. iTunes store to the (RED) fund, just as they’ve done each year since the release of “A Great Big Sled” in 2006. The band will also donate all proceeds of a limited CD pressing to the charity. Over the last decade, The Killers have raised more than $1 million for The Global Fund through their Christmas singles.